Ms. Zukerman is the featured soloist on the critically acclaimed, GRAMMY nominated 2013 Naxos recording of James Whitbourn’s oratorio, Annelies: the first major choral setting of the Diary of Anne Frank. The Guardian (UK) praised her performance on the CD¸ stating, “Arianna Zukerman sings with subdued beauty.” She sings the work often including recent performances in Dallas, TX and Cleveland, OH and notably, the New York City premiere of the work at Alice Tully Hall in Lincoln Center in Spring of 2014. The 2016 –’17 season includes a concert of duets and arias with mezzo-soprano, Heather Johnson and pianist, Giovanni Reggioli at Clarion Concerts Leaf Peepers series as well as performances of Annelies with the Red Rocks Music Festival in Arizona. Recent performance highlights include performances of Beethoven Symphony No. 9 with the National Arts Centre Orchestra in Ottawa with her father, Pinchas Zukerman conducting, and Barber’s Knoxville Summer of 1915 and orchestrated Schubert songs at the Wintergreen Music Festival and Academy where she was the master teacher in a weeklong vocal intensive focusing on Schubert lieder. She sang the soprano solo in a performance of the multimedia concert drama, the Defiant Requiem at the Music Center at Strathmore with The Orchestra of Terezin Remembrance; concerts with the Royal Philharmonic Orchestra in Reading, Salisbury and at London’s Cadogan and Royal Festival Halls again with Pinchas Zukerman conducting; Whitbourn’s Annelies with the Lincoln Trio, clarinetist Bharat Chandra, The Chicago Children’s Choir, Josephine Lee conducting, at Chicago’s Harris Theatre (presented under the auspices of the US Holocaust Museum’s 20th anniversary year); a 15-concert engagement with the Israel Philharmonic Orchestra in Tel Aviv, Haifa and Jerusalem; a performance of Jake Heggie’s At the Statue of Venus for Urban Arias at the Strathmore Center for the Arts’s Strathmore Mansion; concerts with Chicago’s Music of the Baroque under Jane Glover singing Mozart’s “Exsultate Jubilate” and “Ch’io mi scordi di te,” with Vladimir Feltsman at the piano; and a return to the Colorado Symphony as soloist in Fauré’s Requiem under conductor Jose Luis Gomez. Ms. Zukerman’s extensive career includes performances with an impressive group of conductors including James Levine, Charles Dutoit, Leonard Slatkin, Lorin Maazel, Ivor Bolton, Constantine Orbelian, Julian Wachner, Jane Glover, Lawrence Foster, Rossen Milanov, Marin Alsop, Pinchas Zukerman, Jose Luis Gomez, and Andrew Litton. She has worked with major orchestras worldwide, including the orchestras of Boston, Chicago, Minnesota, Dallas, Colorado, Cincinnati, Pittsburgh, and Philadelphia, the Rochester Philharmonic and National Arts Centre Orchestra in North America, and with the English String Orchestra, Royal Philharmonic (UK), the Israel Philharmonic Orchestra, the Gulbenkian Foundation Orchestra and the Moscow Chamber Orchestra abroad. 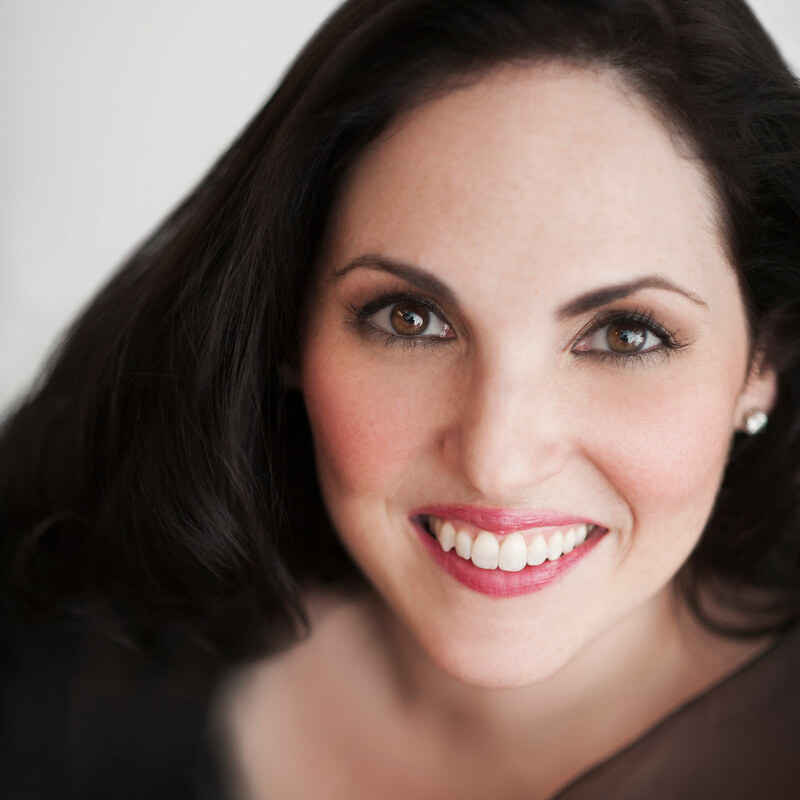 Among the opera companies with which she has performed are the New York City Opera, Chicago Opera Theater, Arizona Opera, the Berkshire Opera Company, and the Castleton Festival. In her chamber music collaborations, she has worked with such esteemed artists as violinist Daniel Hope; pianists Benjamin Hochman, Ken Noda, Navah Perlman, Joy Schreier, and Brian Zeger; clarinetists Bharat Chandra, Alex Fiterstein, Patrick Messina, and Anthony McGill; flutist Eugenia Zukerman; the Miami String Quartet, and The Lincoln Trio. Arianna Zukerman was born in New York City into a musical family. Her father is violinist/violist/conductor Pinchas Zukerman, her mother is flutist, writer and arts broadcaster, Eugenia Zukerman, and her sister Natalia Zukerman is an accomplished singer/songwriter. In addition to her busy performing schedule she maintains an active studio at the Catholic University of America, where she is an Adjunct Professor of Voice, and she gives master classes around the United States. A past recipient of the Sullivan Foundation Award, Ms. Zukerman was a member of the Bavarian State Opera’s Junges Ensemble. She studied theatre at Brown University and received her Bachelor of Music from the Juilliard School. She resides with her family in Greater Washington, DC. Arianna Zukerman: "You've got to live your truth."